The easiest way to identify one of the most influencing styles of the 1920s and 1930s is through Art Deco patterns, because this surely was one of the most popular decorative styles in architecture, design and visual arts in this period of art history. As impactful as other movements like Art Nouveau and Bauhaus, Art Deco left a mark through its recognizable patterns, which were applied in many fields and most prominently in architecture and design. In each of the examples presented in this article, there are visible patterns employed on walls of the buildings, on interior or exterior doors, even on cars. It is these patterns made Art Deco famous worldwide. Art Deco pattern is known for its precise and clear lines, geometric shapes and decoration – these patterns are implemented on surface or attached to a structure. However, in the later period of the movement, the patterns were known for their curving forms and long horizontal lines. This later period of the style is called Streamline Moderne and it’s also characterized by rich colors, bold geometric shapes and lavish ornamentation. Creators and designers used these patterns as the basis for decorating furniture, cars, buildings, houses, while visual artists use them in paintings, posters and drawings. 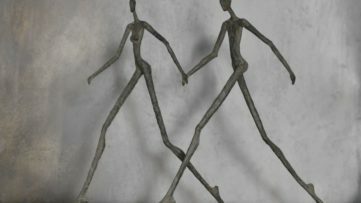 Art Deco was certainly among most popular movements in the period between two World Wars. What is fascinating about the movement is the fact that it quickly spread around the world, so Art Deco was not only European or Northern-American style or movement. It had a global reach, and even today, the big and rich legacy of Art Deco can be found in the countries all around the world. Art deco designers, artists and architects largely used similar patterns in their works – sharp lines, ornaments, geometric forms and so on. Art Deco pattern is characterized by decorative and free , often abstract elements which is totally different from Art Nouveau retro practices. Vector and vectors set the image of the design and it often has vintage elements. The book Art Deco Designs (Design Source Books) by Elaine Hill is a rich source of ideas and inspiration for all craftspeople and artists. The design can be used as stencil or embroidery patterns, stationery design, furniture decoration, glass painting guides or whatever the reader’s imagination chooses. Readers are permitted to reproduce any of the designs in these books for their personal practice, or for the purposes of selling for charity, free of charge and without the prior permission of the Publishers. Decorative patters that is free of style and that dominated in the 1920s is completely contrast to the Art Nouveau ; it more abstract sometimes even seamless with retro graphics that were revolutionary at that time. If you like Art Deco Design, this is a perfect book for you. Art Deco patterns also have floral elements as decorative frames that could free be set and shape according to artist’s wish. 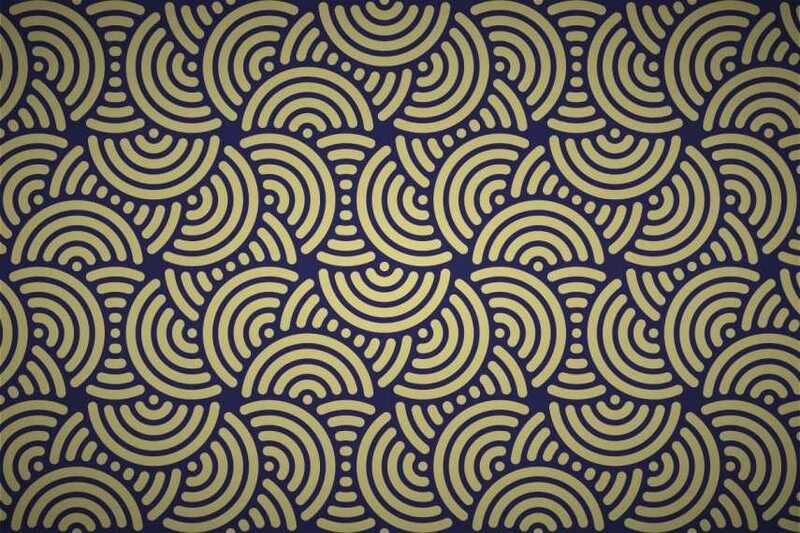 Scroll down and take a look at some beautiful examples of the use of Art Deco patterns ! 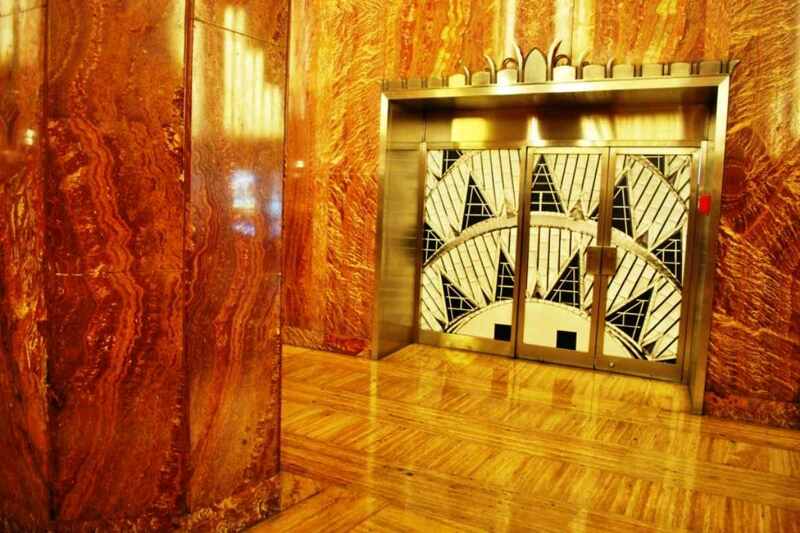 Art Deco patterns were widely used for designing the interiors of the lobbies of government buildings, theaters, and particularly office buildings. One of the most stunning examples of such interiors can be found in famous New York’s Chrysler Building. The architect of the building, which was constructed in 1930, was William van Alen. He intentionally decorated the lobby of the building so that it echoes the modernity of the outside, using geometric shapes in glass, ceramics and stainless steel. 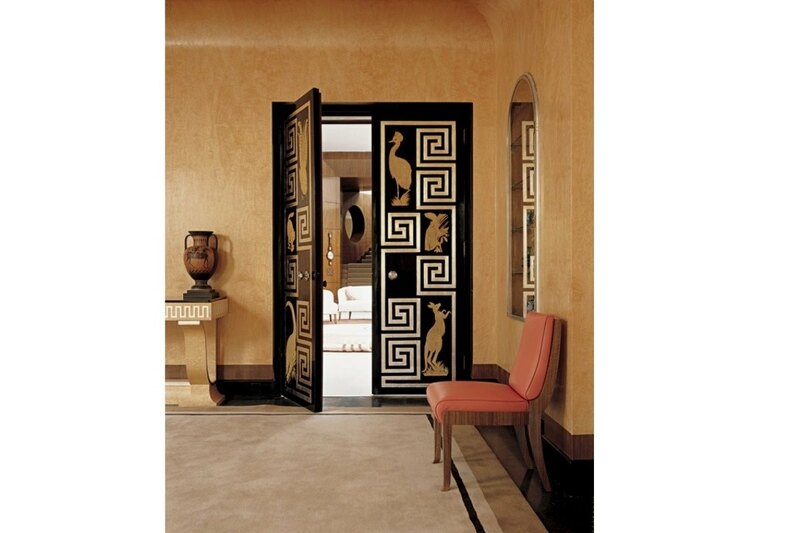 Emile-Jacques Ruhlmann is often described as a genius of Art Deco. He created some of the most recognizable furniture using the style, and apart for being known for creating extravagantly patterned carpets and vividly colored textiles and wallpaper, Ruhlmann also produced works that were simple in form but lavishly decorated, using fine woods and inlays. This cabinet was made in 1926. 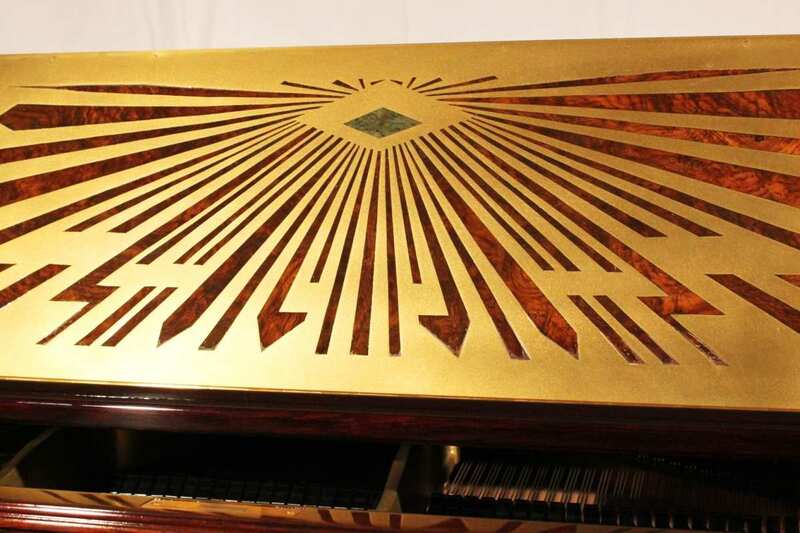 Sunburst motifs were often used in Art Deco designs. This Schiedmayer grand piano with an Art-Deco case is decorated with lapis lazuli and malachite in geometric designs. This Schiedmayer piano was created designed by Peter Behrens. One of the main characteristics of Art Deco patterns is the use of mathematical geometric shapes, but also faceted architectural forms of Babylon, Assyria, Ancient Egypt, and Aztec Mexico – notably their ziggurats, pyramids and other monumental structures. In addition, sweeping curves and ornaments are one of the main motifs in Art Deco patterns, often decorated with subjects, such as cats from Ancient Egypt, lions or dogs. The later period of Art Deco was called Streamline Moderne. It emerged during the mid-1930s and was influenced by modern aerodynamic principles developed for aviation. The design was mainly used for cars, ships and trains. 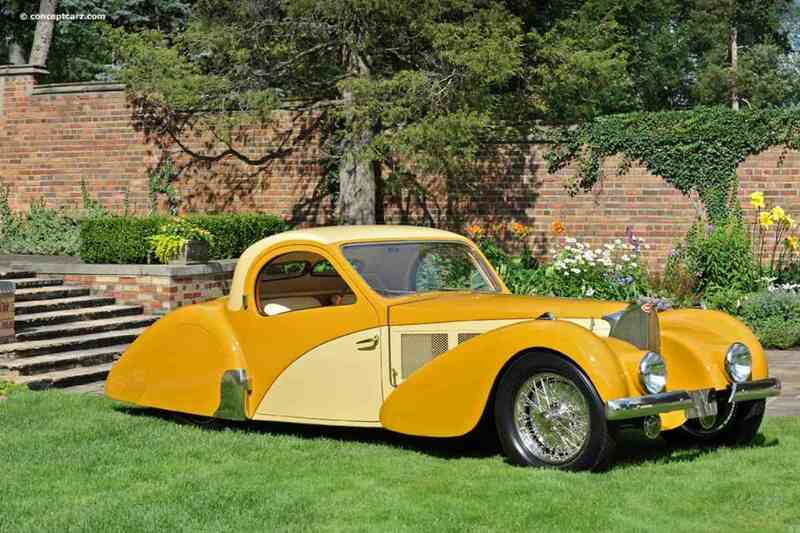 The so-called bullet shapes were used for industrial design, as it’s the case with the Bugatti Type 57SC. 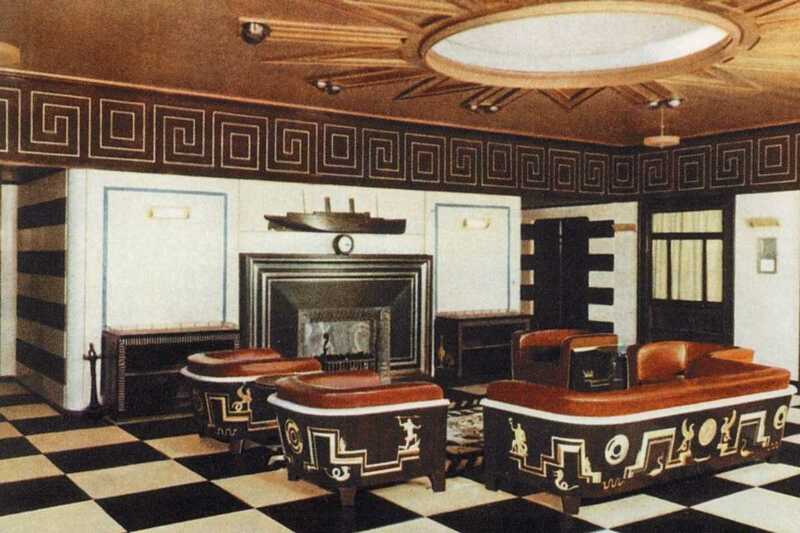 The Salon of the Swedish-American lines steamship Kungsholm is a typical example of interior Art Deco design, with all the patterns designers used in the late period of the movement. The original ocean liner service from Sweden to the United States was established in 1915. 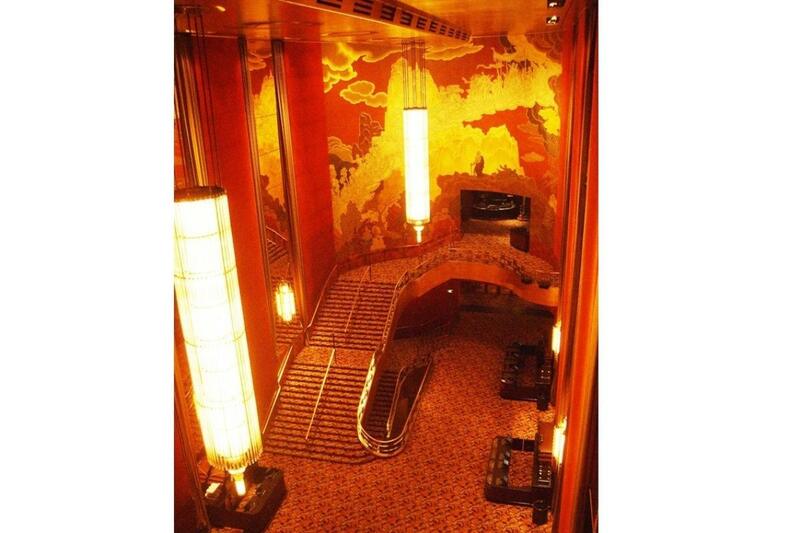 But, when it comes to design and Art Deco, the ships were decorated in this style from 1925. This particular Salon was designed and created in 1928. 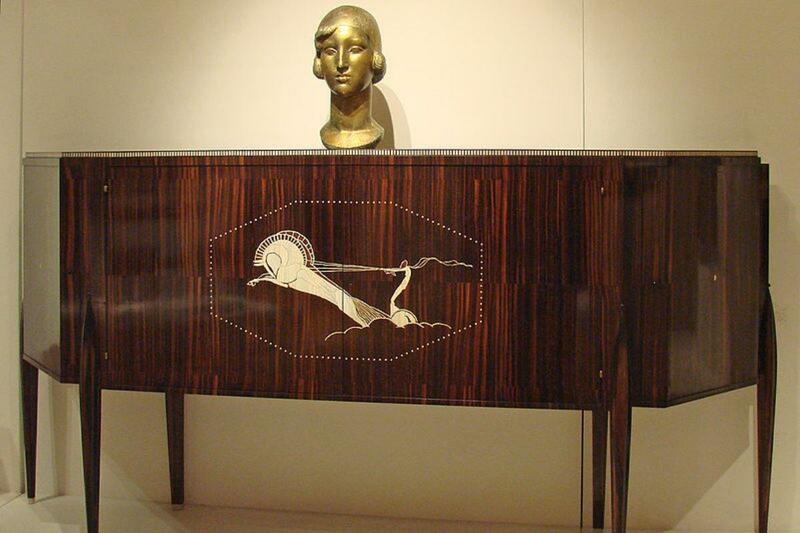 French artist Jean Dunand was certainly the most important lacquer artist of the Art Deco period. He was one of the most prominent figures of the movement, and often collaborated with other designers. Dunand applied lacquer on a variety of objects and surfaces from vases and jewelry to panels and furniture. 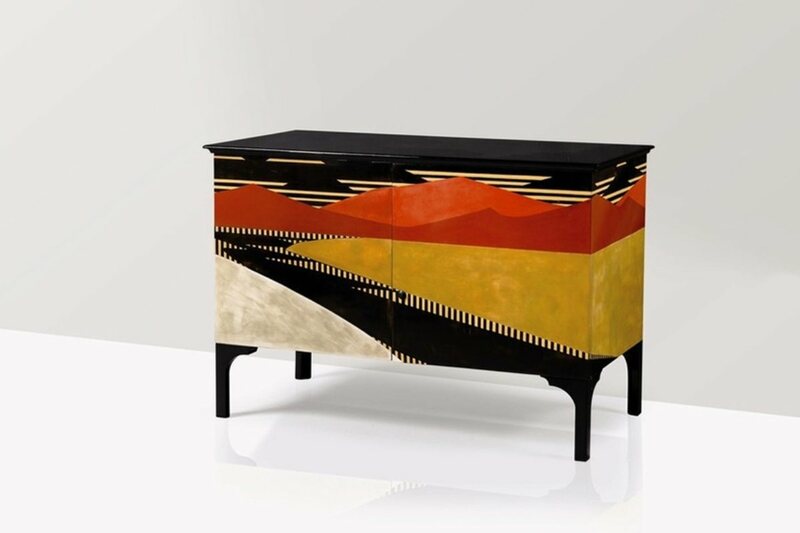 This lacquered cabinet was created in collaboration with Jean Goulden. 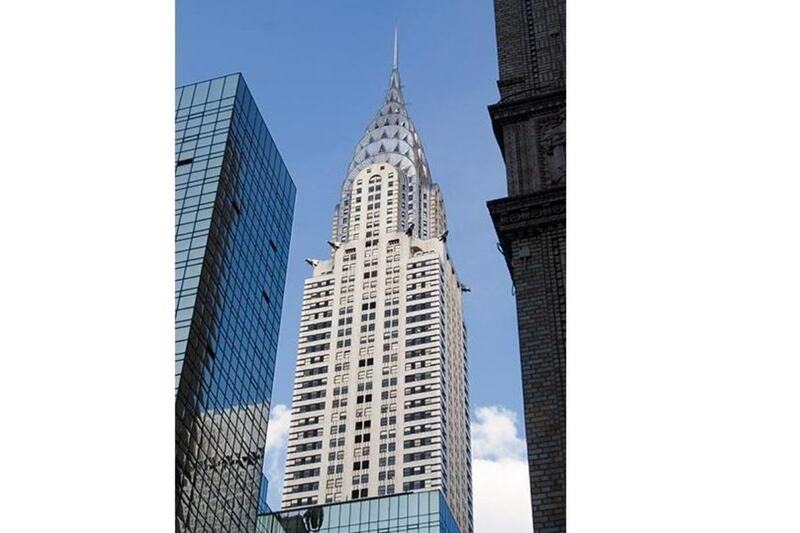 The Chrysler Building is a classic example of Art Deco architecture and considered by many contemporary architects to be one of the finest buildings in New York City. The crown of the building is particularly praised as one of the leading example of Art Deco architecture. Its ornamentation that makes the crown of the tower is what puts the building as one of the most representative examples of the movement’s design. The Radio City Music Hall in New York is another stunning example of Art Deco design and architecture. The hall’s interior is in particular praised for its austere Art Deco lines representing a break with the traditional ornate rococo ornament. The interior decor was created by designer Donald Deskey. Deskey’s geometric Art Deco designs incorporate glass, aluminum, chrome, and leather in the ornament for the theater’s wall coverings, carpet, light fixtures, and furniture. 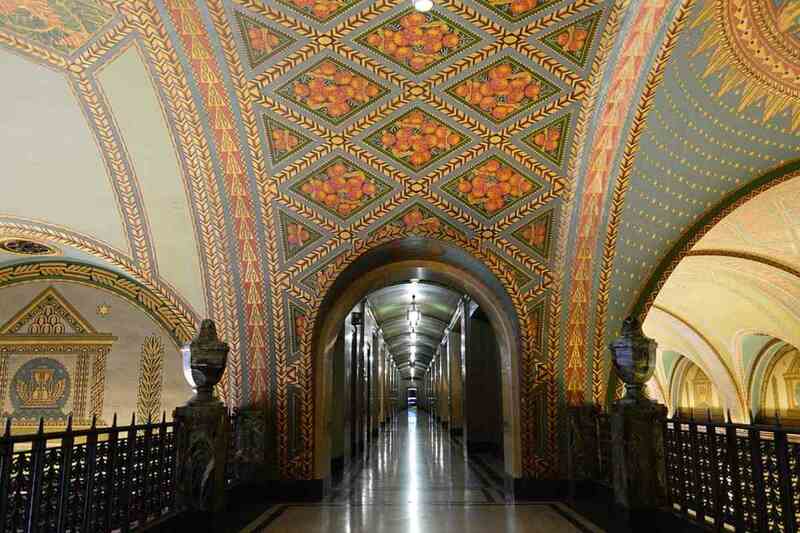 The ornate Fisher Building in Detroit was constructed in 1928. 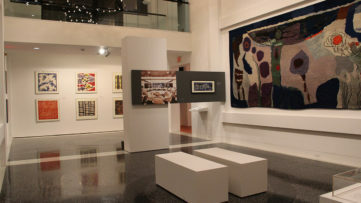 Its interior is often called “Detroit’s largest art object”. The stunning interior, which is completely decorated with remarkable Art Deco ornaments and patterns, was designed by Albert Kahn and Associates. The building was designated a National Historic Landmark in 1989.